Seattle Times reporters and photographers dispatched live updates from watch parties in Bellevue, Auburn and Issaquah throughout the evening. Editor’s note: This is the breaking account of Tuesday’s general election. You can also see our full election coverage here. Today was the deadline for voting in Washington state’s 2018 primary election. The top two candidates who receive the most votes in each race will move on to the Nov. 6 general election. 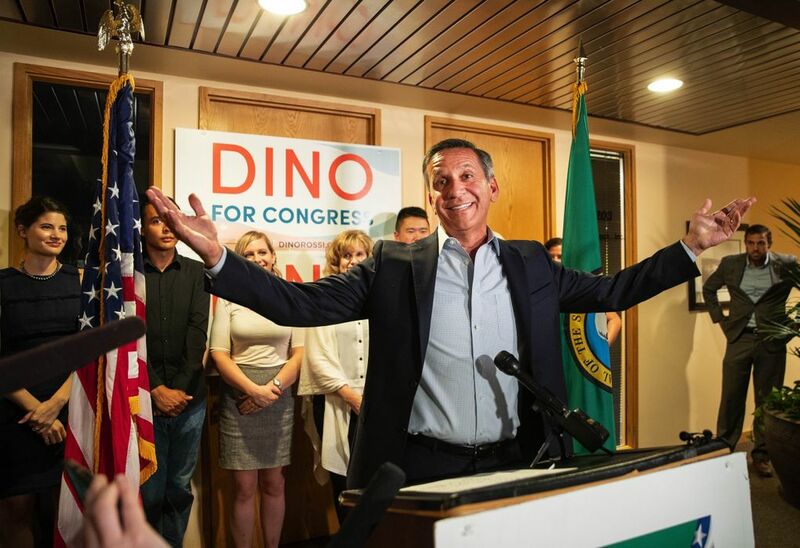 In the 8th Congressional District, Dino Rossi advanced, while Kim Schrier and Jason Rittereiser led Democrats. Republican House members Cathy McMorris Rodgers and Jaime Herrera Beutler are looking at tough general elections as each had less than half the vote on primary night. 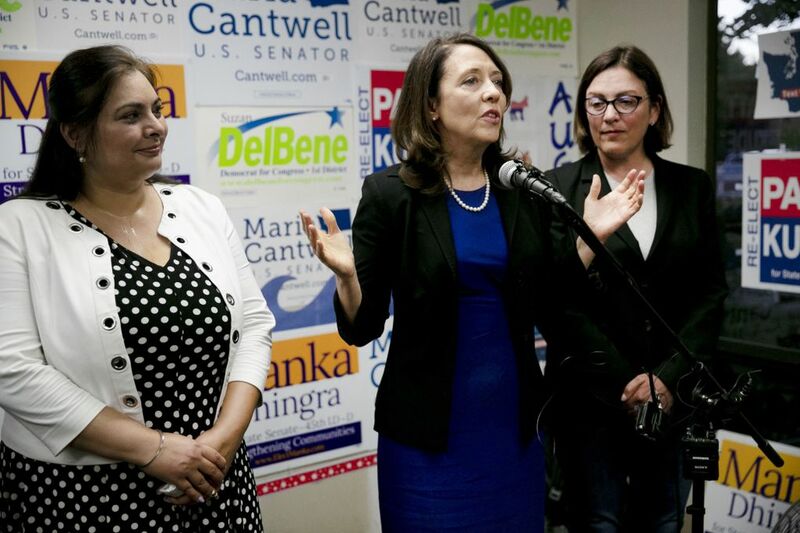 U.S. Sen. Maria Cantwell will face former state Republican Party chair Susan Hutchison in the November election. Here’s The Seattle Times’ previous coverage of key races in the region, as well as reports on the political landscape this election year. Washington State Republican Party Chairman Caleb Heimlick said he hoped Dino Rossi would get close to 50 percent and he expects that as votes continue to be counted, Rossi’s vote share will increase. “I think the contrast is very clear,” he said about Rossi and the other candidates. 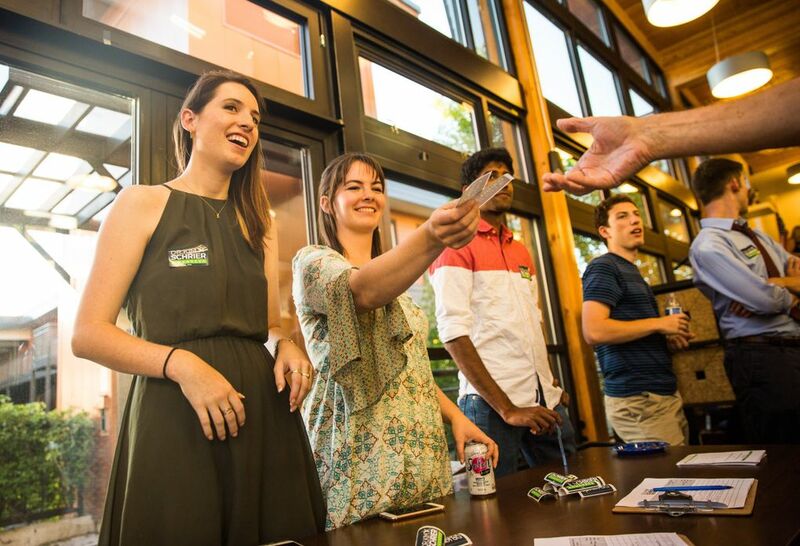 Although she did not declare victory Tuesday night, Schrier came out swinging against Rossi in front of a crowd of about 100 cheering campaign workers in Issaquah. She underscored her experience as a pediatric doctor and mom, and a different kind of candidate — in contrast to Rossi, whom she said “spent his career lining his pockets from campaign contributions from special interests. In an interview later, Schrier said the election results — in which Rossi was unable to win a majority in a district that has always voted for Republicans — “reflects democratic enthusiasm.” She said once all the votes are counted — and assuming she wins — she wants to unify the Democratic Party to take on Rossi. “The stakes couldn’t be higher” she said. Cathy McMorris Rodgers, the fourth-ranking Republican in the U.S. House of Representatives, is headed for perhaps the toughest general election of her career, as she leads Democrat Lisa Brown by less than 1 percentage point in the 5th Congressional District race. National Democrats have highlighted the race in Eastern Washington, eager to flip what’s been a reliably Republican seat. 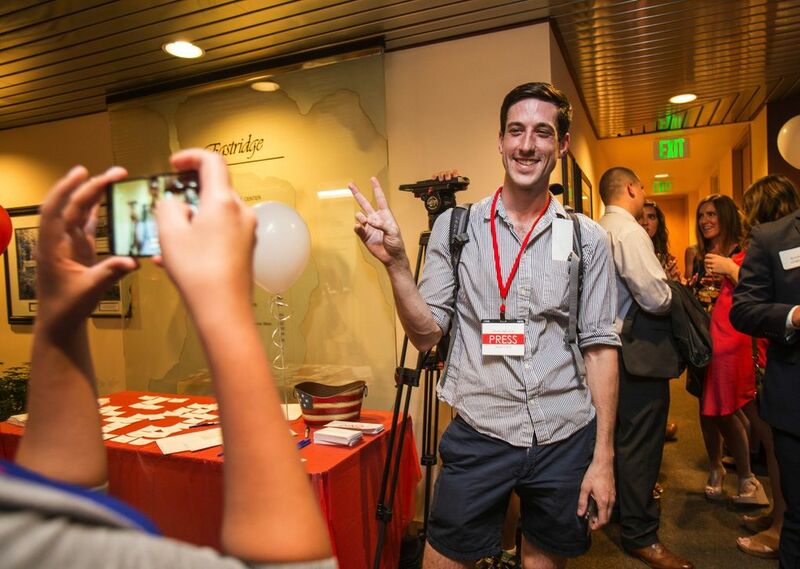 McMorris Rodgers has raised about $3.8 million and Brown has raised about $2.4 million. 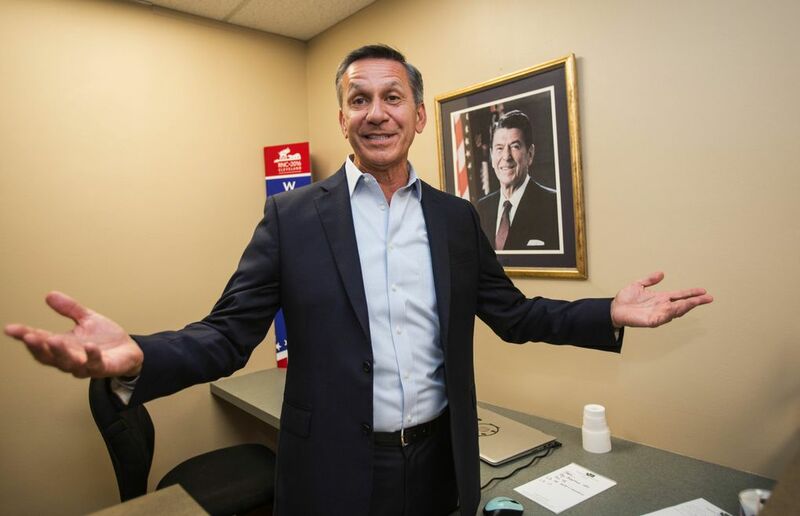 Former state senator and real-estate investor Dino Rossi and pediatrician Kim Schrier are leading in the nationally watched 8th Congressional District race to succeed retiring Republican Congressman Dave Reichert. Rossi, the Republican, facing no other serious GOP contenders, easily advanced to the November general election, taking about 41 percent of the primary vote. 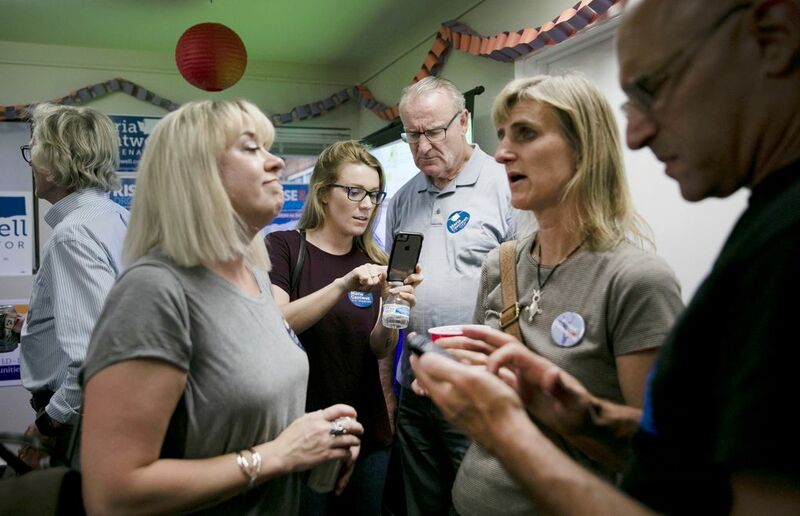 Schrier, a Democrat, was in second place, taking about 20 percent of the vote, with King, Pierce and Chelan counties reporting shortly after 8 p.m.
Jason Rittereiser, an attorney and former deputy King County prosecutor, is close behind Schrier, with about 17 percent of the vote. Coming in fourth is another doctor, Shannon Hader, an Auburn native. At her watch party, Hader took to the stage and told her supporters that she will back whichever Democrat advances to face Dino Rossi. She urged them to do the same. “Let’s flip this district and defeat Dino Rossi in November,” she said. Big cheer goes up at @DrKimSchrier watch party as first drop of ballots show her leading her Democratic opponents. Just got off phone with @JRittereiser – he says he's excited to be so close to @DrKimSchrier given that she outspent him 3-to-1. "My generation tends to vote later. 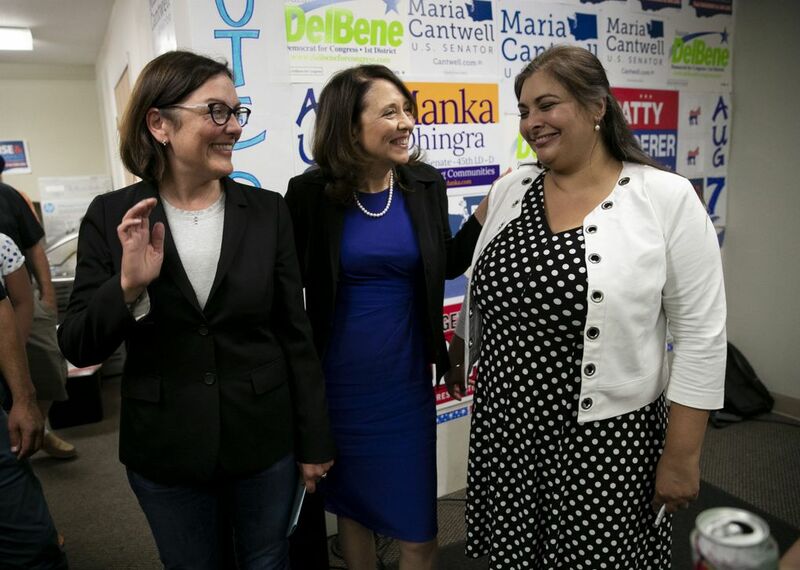 U.S. Sen. Maria Cantwell is leading 28 primary election challengers with 56 percent of the vote, while former state Republican Party chair Susan Hutchison is running a distant second with 24 percent. Cantwell, 59, had never faced so many primary opponents. They included 13 Republicans, four Democrats, five independents, a Libertarian, a Freedom Socialist and others. 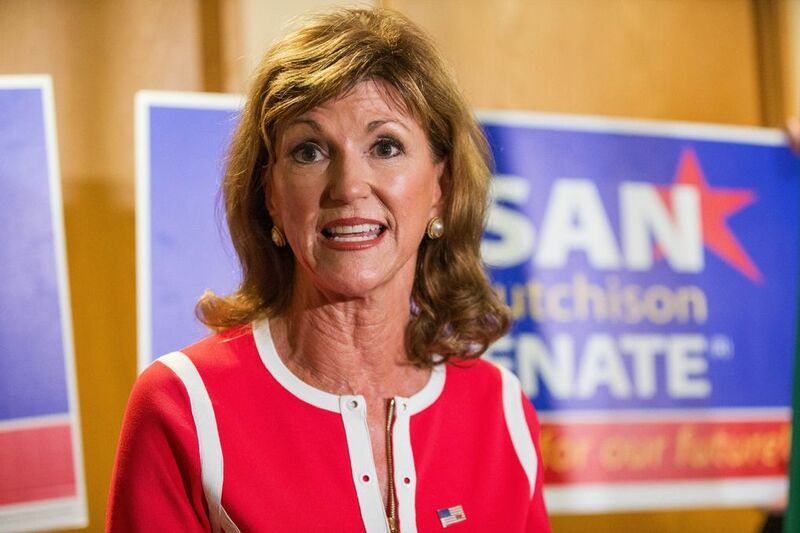 Hutchison, 64, the most familiar name in the crowd, had argued that the sheer number of candidates showed a lack of support for the incumbent. 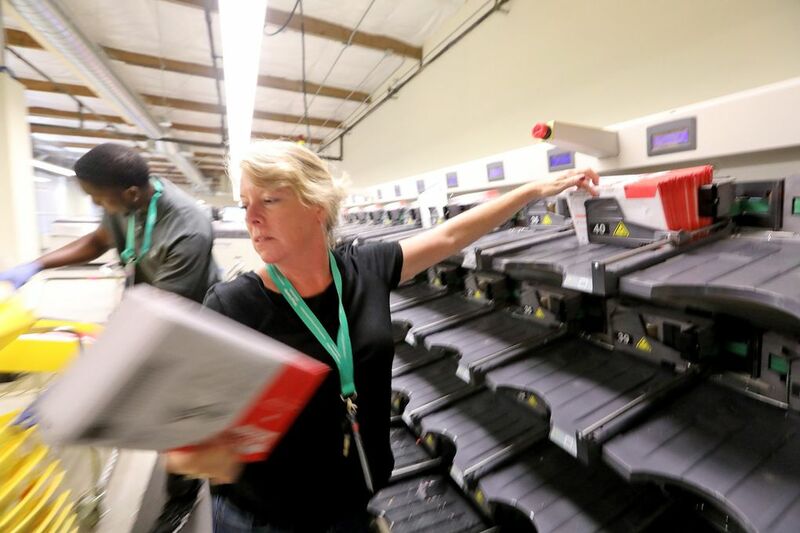 Early returns show voters approving a $126 million levy to further fund King County’s Automated Fingerprint Identification System (AFIS). The property tax-funded levy has been renewed by voters five times since 1986. It pays for a centralized fingerprint-identification system maintained by the King County Sheriff’s Office and used by regional law enforcement. This six-year period, starting in 2019, will levy a property tax of 3.5 cents per $1,000 of a home’s value. Joe Nguyen and Shannon Broderick, both Democrats, are leading in the 11-way race for the 34th Legislative District, which includes West Seattle, White Center, Vashon Island and part of Burien. The winner will replace Washington state Senate Democratic Majority Leader Sharon Island of Maury Island. In the Eastside’s 48th District, Sen. Patty Kuderer, D-Bellevue, has about 59 percent of the vote, followed by former Senate Majority Leader Rodney Tom, who has about 30 percent vote. 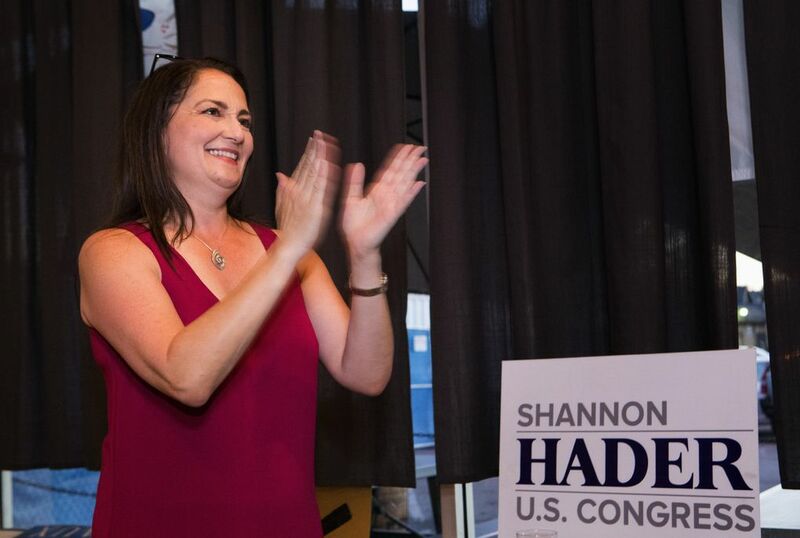 At a watch party for Shannon Hader, Democratic candidate for Congress in the 8th District, one voter said Donald Trump’s presidential win motivated him to get involved in Democratic politics. “Donald Trump got elected and it got us into politics.,” said Robert Moody, who lives in Graham. He voted for Republican candidates from 1980 until George W. Bush was elected, he said. Republican staff were putting up podium signs, and occasionally bobbling them, as supporters wait for major candidates Dino Rossi and Susan Hutchison to emerge from a back room at GOP headquarters in Bellevue. Businessman David Laub, sipping a beer, says he would join a Capitalist Party if one existed, and therefore backs the GOP. In Wenatchee this month he saw plenty of Rossi signs and none for his Democratic rivals in the 8th District. “Eastern Washington gives Republicans a better chance,” he said. But he was more pessimistic about Hutchison catching incumbent Democrat Sen. Maria Cantwell, assuming King County dominates the statewide totals. The economy and jobs are picking up, according to Laub, who says Hutchison will work for lower taxes. “I’ll use it to hire people. I don’t send my money out of the country,” said Laub, a biotech executive and community volunteer. Cantwell often presses her economic credentials, in particular backing infrastructure. Her FAST Act for port funding has delivered money to Seattle’s future Lander Street Bridge in Sodo, among other freight routes. At her watch party at the Issaquah Highlands YWCA, Dr. Kim Schrier arrived early and immediately spent about 20 minutes talking to a handful of reporters before she peeled off to mingle with a crowd of at least 75. Schrier said she and her campaign workers knocked on 80,000 doors and made 90,000 phone calls. 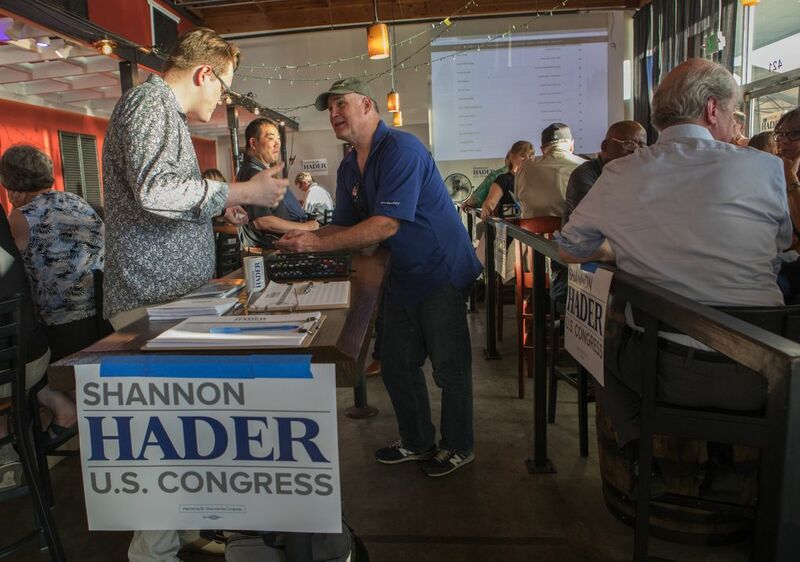 The campaign reached into the deepest red parts of the 8th congressional district, and Schrier said many people she talked to said they’d never been contacted by an 8th district candidate before. “We are everywhere,” she said. 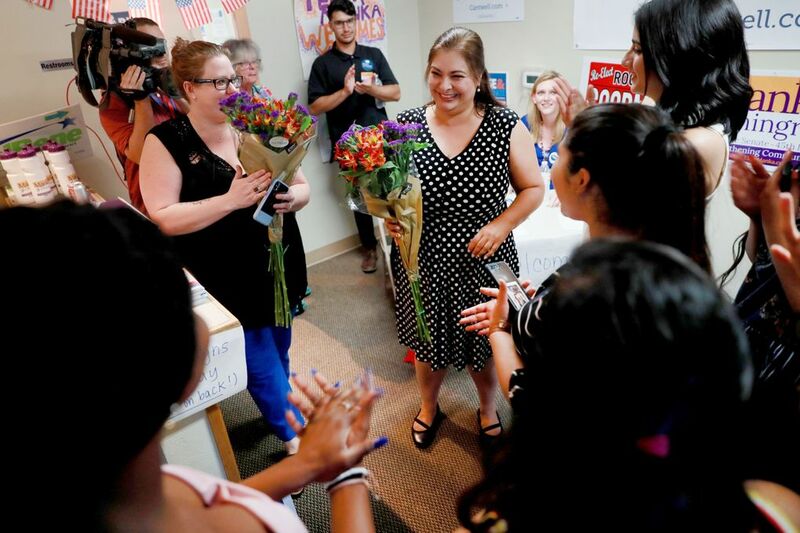 “I think the mistake other candidates have made is only focusing on King County.” She said the campaign has built “an army, including hundreds of volunteers,” as well as getting support from Emily’s List, Planned Parenthood and organized labor leaders. 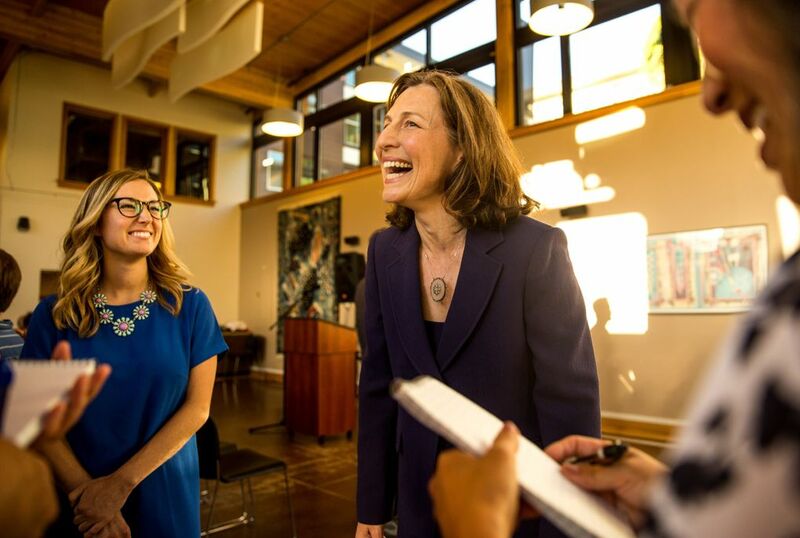 Schrier said she believes her job as a pediatrician helped her connect with voters, especially moms and grand moms, who she believes sense that she is someone they can trust. She said the number-one issue on voters’ minds is health care — everything from women’s reproductive rights to the opioid epidemic. Many are especially concerned about the high cost of health care, she said. Schrier said she believes that the three Democrats running will likely all come in with voting margins in the teens, and that the results of tonight’s primary are unlikely to be clear until later. Watch parties are underway as candidates prepare for election results to post. The deadline to turn in a ballot is 8 p.m. In Ohio, state Sen. 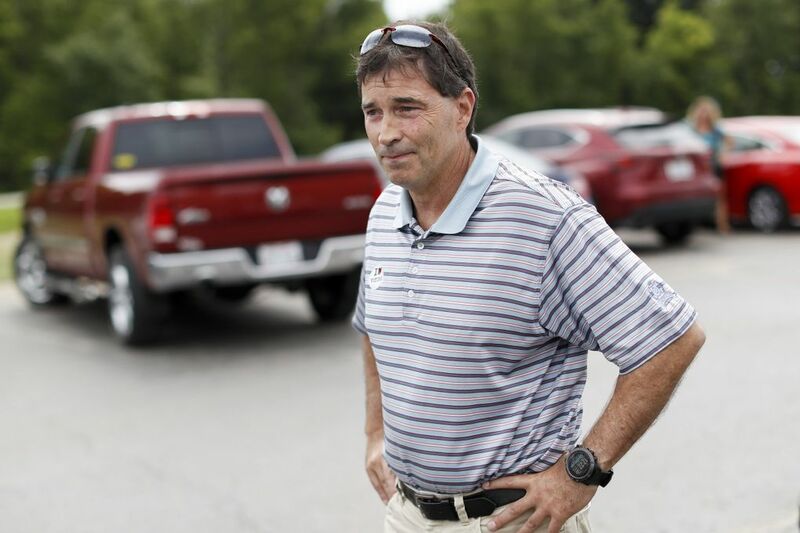 Troy Balderson, a Republican, is leading by 1,699 votes, or .8 percentage points, over Danny O’Connor, a Democrat, in the 12th Congressional District race. In Ohio, 155 votes separate the two candidates in the 12th District special-election race, with 85 percent of precincts reporting. 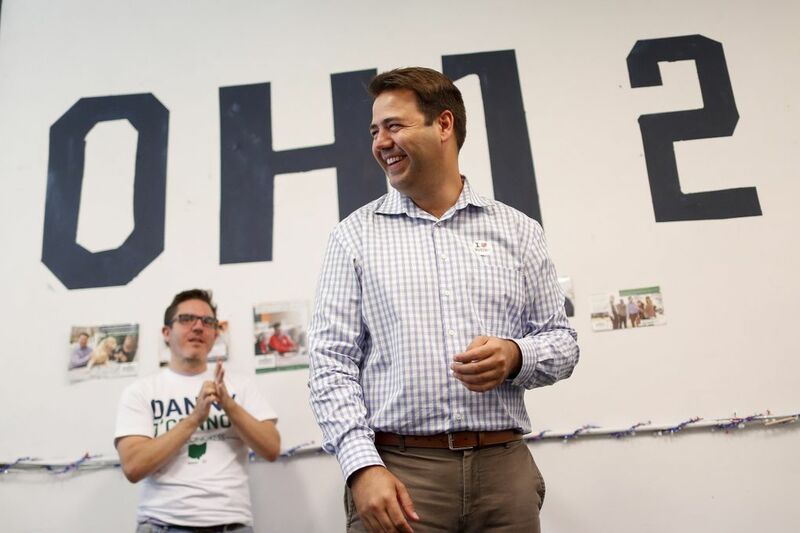 Danny O’Connor, a Democrat, is leading with .1 percentage points over Republican state Sen. Troy Balderson. The winner will go to Congress immediately. From incumbent Democrat Maria Cantwell, to former state GOP chair Susan Hutchison, to 19-time failed candidate “GoodSpaceGuy,” the 29 people running in Washington’s U.S. Senate primary didn’t just get their name on the primary ballot for nothing. Only Freedom Socialist Party candidate Steve Hoffman went the alternate route and gathered 1,740 signatures from registered voters, according to Secretary of State spokesman Erich Ebel. Hoffman is a union representative at a Seattle community college who favors taxing the rich and redirecting military spending to provide guaranteed jobs, free education and healthcare. The $1,740 filing fee applies to congressional races in Washington too. You can run for the state Legislature for a comparatively cheap $477.76. Check out the state’s FAQ on candidate filing requirements here. 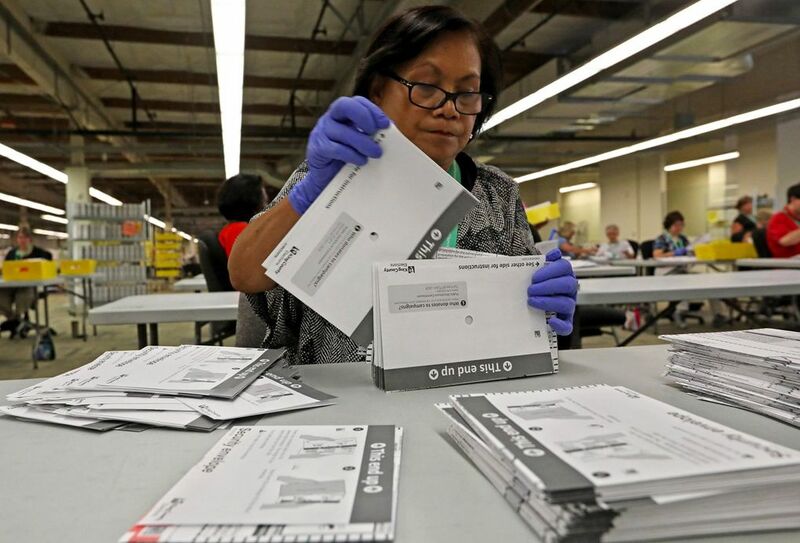 About 27 percent of voters across the state have turned in a ballot, according to the Washington Secretary of State’s office. The voter turnout in King County is also at 27 percent. 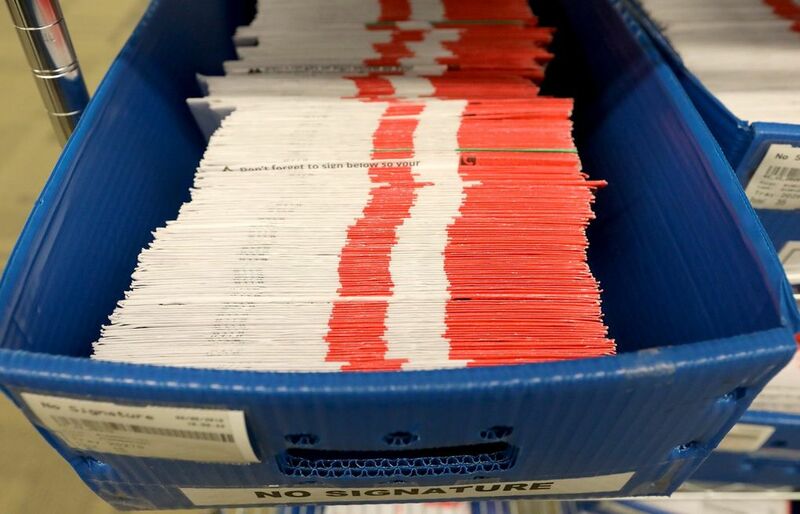 Snohomish County reports a 23 percent turnout and Pierce County reports 18 percent. Voting is underway in Washington’s 2018 primary election. If you’ve waited until today to cast your ballot, it’s not too late. Just make sure it’s postmarked by the end of the day or returned to a drop box by 8 p.m. The top two candidates who receive the most votes will move on to the Nov. 6 general election. Seattle Times reporters and photographers will provide live updates from watch parties in Bellevue, Auburn and Issaquah throughout the evening. We’ll also post updates from the primaries in Kansas, Michigan and Missouri and the special House general election in Ohio.